Click here to listen to this 21-minute message. We all have, consciously or unconsciously, a hierarchy of people’s goodness to badness, of people’s worthiness of God’s loving attention or of salvation. Even if we believe in salvation through the work of Christ alone, we probably still can imagine people we think undeserving of eternal life. This was the problem of the Pharisees in Jesus’ time. They were so focused on keeping God’s Law (see my related message on Jesus’ Law) that they could have nothing to do with people who were not righteous, people who were lower down on the hierarchy. So when the Pharisees see Jesus hanging out with so called ‘sinners’ and tax collectors, they are horrified and mutter, “This man welcomes sinners and eats with them” (Luke 15:1-2). They regarded such behaviour as being absolutely at odds with being a Godly person. The lost sheep. “Suppose one of you has a hundred sheep and loses one of them. Doesn’t he leave the ninety-nine in the open country and go after the lost sheep until he finds it?” (Luke 15:4-7) Here, Jesus speaks of the lost one in a hundred. The lost coin. “Suppose a woman has ten silver coins and loses one. Doesn’t she light a lamp, sweep the house and search carefully until she finds it?” (Luke 15:8-10) Here, Jesus speaks of the one in ten. In this parable (commonly known as the parable of the prodigal son, ‘prodigal’ meaning financially wasteful) we meet a father and his two sons. The younger son asks for his inheritance up front, and then squanders it on wild living. Eventually he comes to his senses and, realising that his fathers servants live better than he is now living, returns to his father, acknowledges his sinfulness and asks to be hired as a servant. The father is overjoyed at the son’s return, hugs him, clothes him and throws a lavish party for him. The older son is angry, while his father is filled with compassion. He refuses to join in the feast the father is hosting, thereby distancing himself from his family. His father has to humiliate himself by leaving his guests to come out an plead with the older son. In his response to his father, the older son speaks with disrespect, saying “Look!” instead of “Father”. The son constructs his role in the family as one of slave, rather than son. He distances himself from his younger brother, referring to him as “this son of yours”. This is exactly what the Pharisees did to Jesus (as the father in the story) in his engagement with sinners and tax collectors (as the younger son in the story). They said to Jesus, “This man welcomes sinners and eats with them”, just as the father in the story welcomed his younger son and threw a feast for him. “My son”, even though the older son did not say, “My father”. He speaks with respect to his disrespectful son. He affirms that the older son is always with him (in relationship with him) and that everything that is the father’s is the son’s also, affirming his sonship. He refers to the younger son as “this brother of yours”, affirming the boys’ brotherhood. He reinforces the need to celebrate the return of the lost younger son, perhaps hinting that there would be a further celebration to celebrate the return of the lost older son. As children of God, we (like the Pharisees) are urged to adopt the heart of God, as evidenced in the behaviour of the father in this parable, and to welcome and eat with so called ‘sinners’. This painting by Rembrandt van Rijn is called ‘The Return of the Prodigal Son’ c.1662. The original hangs in the Hermitage in St. Petersburg. The older son is depicted on the right, in a red cloak, looking rather disapproving, and distanced from the father and younger son on the left. Notice also the father’s hands – the one on the left is smaller and thinner than the one on the right. Most people think Rembrandt was endeavouring to depict both the fatherhood and motherhood of God. Henri Nouwen has written a book about this narrative and painting called, ‘The return of the prodigal son’. You can read some of it here on Amazon. Read particularly pages 71 and following, about the older son. Or click here for a brief reflection on this painting. 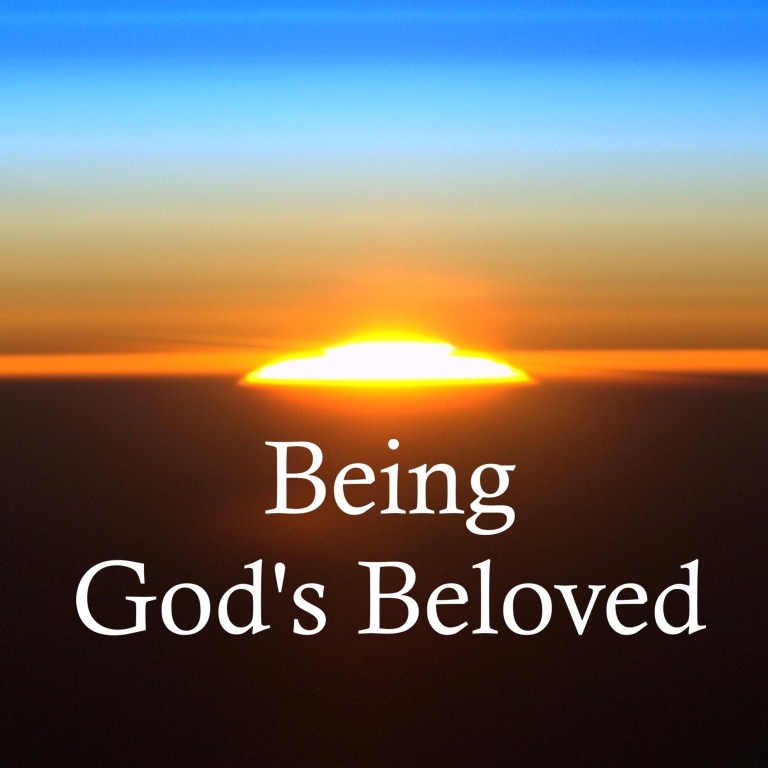 Being God’s Beloved: Reflections on God’s Love. A young man runs up to Jesus, falls on his knees and asks, “Good teacher, what must I do to inherit eternal life?” (Mark 10:17). What a good, wonderful and open-hearted question! Even his behaviour – running and falling – points to a youthful and sincere eagerness. This was a genuine question, unlike the manipulative question we read about yesterday in John 8. He was a good boy – he had kept the Ten Commandments since his youth (Mark 10:19). We need not detect any pride or haughtiness in his response. He really was a good person – sincere of faith and upright in his behaviour. And then we read these beautiful words, “Jesus looked at him and loved him” (Mark 10:21a). Jesus looked at him and loved him. Jesus then tells him that there is something he lacks. “Go, sell everything you have and give to the poor, and you will have treasure in heaven. Then come, follow me” (Mark 10:21b). We know that the man had much wealth, so he was not lacking in money. From Jesus’ instruction, we can perhaps conclude that he lacked treasure in heaven. This was a hard teaching for the young man. His face fell, and “he went away sad, because he had great wealth” (Mark 10:22). Jesus then teaches those who remained behind about the dangers of wealth, which can make a relationship with God (i.e. entering the kingdom of God) very difficult – more difficult than for a camel to pass through the eye of a needle. Our reflection, however, is not on wealth or on what we must do to inherit eternal life. Rather, it is on that brief phrase, “Jesus loved him”. A couple of days ago we reflected on the phrase “Jesus looked at him” – we saw how often in the Gospels we are told that Jesus looked at people, really saw people, really connected with people. Here again, Jesus looks at – looks into – the young man and sees his heart. And in response to that looking, Jesus loves him. Although this story is told in all three Gospels (Matthew 19:16-30 and Luke 18:18-30), Mark is the only one to have this short sentence. Scholars believe that Mark’s Gospel came first, and Matthew and Luke drew on Mark’s account in writing their Gospels. So, it is likely that Jesus’ looking and loving is authentic, and that Matthew and Luke decided to omit it from their account. How blessed we are that Mark included it! What is it that Jesus sees? He sees both true faith and the failure of faith. He sees a complex person who has elements of faith and elements of faithlessness. And it is that mixture that Jesus loves. Jesus loves him while knowing that he lacks something. Jesus’ love is not contingent on the perfection of his faith, and Jesus’ love is not blind to the imperfections of his faith. Jesus loves the whole man – with his faith and his faithlessness. Many of us who are doing this reflection today are like the rich young man. We are earnest in our faith – that is evidenced, if nothing else, by the fact that we are reading this. We believe in Jesus, we seek to follow him, we desire intimacy of fellowship with him, we yearn to be like him. Jesus sees and appreciates that about us. Jesus loves us. But at the same time, there are things that hold us back in our faith. For this man it was his money. For you it may also be money. Or status. Or education. Or some secret (or not so secret) sin. Or an aspect of doctrine. Or doubt. Or fear. Or resentment or anger. Or lack of self-esteem. Or being too busy. There is, in the midst of faith, something that works against faith. Something holds us back from immersing ourselves fully into our faith in Christ. Jesus looks at you and loves you. Of course, Jesus desires complete faith and total surrender. He knows that this would make us truly happy and fulfilled. He is, like God, jealous – he wants us for himself. But, still, he sees us and he loves us. The way of faith is not easy. It is a journey, and like most journeys, there are easier sections and harder sections, valleys to freewheel into and hills to crawl up, straight smooth sections to glide along and rough, curvy, gravely sections to cautiously navigate. Faith is not a straight line. It is much more a squiggle, or even a scrawl! I sometimes wish I could look back on my own faith journey and describe it as a smooth and consistent development over the 30 years since I was saved. But, in fact, it has not been. There have been times, sometimes extended periods of years, when my faith has been largely dead. I have continued to attend and minister in church – I’ve never been able to completely abandon the faith. But it has been more of a social gathering than a spiritual communion for me. I enjoyed the friendships, the activities and the emphasis on values and integrity, more than my relationship with God. My faith lacked. And then, by God’s grace, it rains. Sooner or later, and sometimes it was years later, the Spirit of God would break through my barrenness and I would rediscover the presence of God and the authenticity of faith and the peace of God. I would be reminded, once again, that God has never stopped loving me or journeying beside me. God has been consistently there – I have just been blind to it. God has consistently loved me – I just could not recognise it. God has been consistently speaking to me – I just could not hear God’s voice. When our faith is weak, when we cannot follow God along the path we are called to, Jesus looks at us and loves us. It takes a generosity of love to wait patiently for someone to realise that they are truly loved. Unrequited love can easily wane or become resentful. But Jesus’ love for us is infinite and patient. As eager as he is for us to respond to him, as much as he desires our wholehearted commitment, he is willing to wait patiently as we grapple with ourselves, as we journey slowly towards him. Even as we walk away, downcast, as this young man did, he continues to love us, to wait patiently. It reminds us of the parable of the prodigal son in Luke 15:11-32. The younger son was not ready to embrace his father’s love – he wanted to go his own way, do his own thing. He was not a bad son – he was just not ready to be a full son to his father. And so he takes his inheritance and sows his wild oats and spends all he has and winds up destitute. He reaches rock bottom living with pigs – an unclean animal for Jewish people. But his father had never stopped loving him. Jesus does not say it explicitly, but the father remains always on the lookout for his son. He looks for his son, waits hopefully and patiently for his son’s return, prays and trusts for his son’s well-being. Why? Because he loves his son. Despite all the boy’s waywardness, he is still his son, still his beloved. Love is patient, love is persistent, love is long-suffering. One day, the son turns and returns. “But while he was still a long way off, his father saw him and was filled with compassion for him; he ran to his son, threw his arms around him and kissed him” (Luke 15:20). That he was still a long way off when the father saw him tells us that the father had been looking out for him. Every day, the father was watching and waiting – looking. And his first response when he spots his son is to be “filled with compassion”. Love. Love is the immediate response. Not anger, resentment, frustration, cold-shouldering. But love! He runs, he throws his arms around him, he kisses him, he robes him, he gifts him, he invites his friends, he throws a party for him, he celebrates his return, he defends him. He loves him. This is how Jesus was with the rich young man. This is how God was with Israel throughout the Old Testament. This is how God is with us. When our faith wanes, even when our faith dies, we can hold on to the truth, revealed in Jesus’ actions and teaching, that God never, never, never gives up on us. God continues to watch, to wait, to hope, to love. And when we are awakened from our spiritual sleep by the call of the Spirit, we can hold onto the certainty that God will always welcome us back with open arms and a warm heart. It is never too late to come home. Where are you in your faith? What do you lack? How far have you journeyed away from God? How ready are you to journey closer to God? Oh God, my Parent, thank that you wait patiently for me to turn towards you. Thank you that see me and love me, with all my inadequacies. Please send your Spirit onto me to stir my faith in response to your call. Welcome! My name is Adrian. I am an assistant priest at St Martin-in-the-Fields, Anglican Church, in Irene, South Africa. I am a professor of social work between Sundays. I’m married to Trina and we have a 20-year-old son. I love the opportunity to preach – to reflect on God’s love for the world and our calling to be loving in response.